Do you want to be part of something amazing? Want an excuse to get out and see the best of Christchurch? 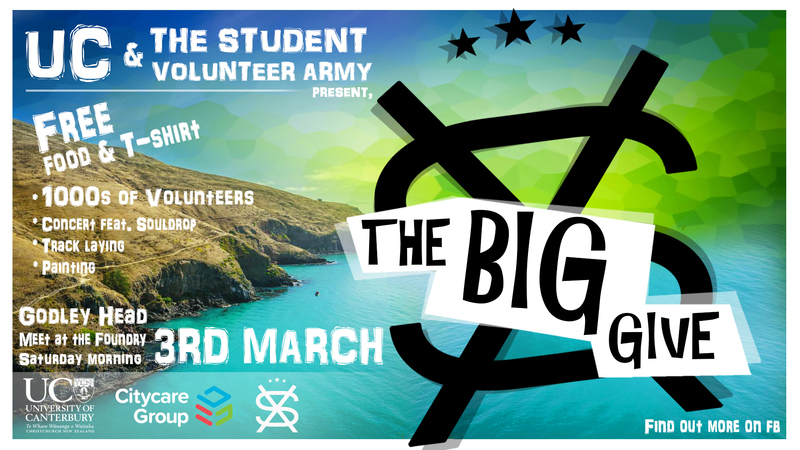 This Saturday 3 March, join the hundreds-strong UC Student Volunteer Army as we head to Godley Head for ‘The Big Give’. The goal of ‘The Big Give’ is to introduce you to Christchurch and carry out a day of volunteering in the community, ultimately giving you another rewarding University experience. Activities on the day include restoring historical WWII buildings, painting, planting, track laying, fencing, and more! Godley Head sports some spectacular coastal views, a penguin colony, quirky old baches and a slice of New Zealand’s military history. This is a FREE event, and you’ll get a whole bunch of rad FREE stuff for your efforts, including (but not limited to): the honoured SVA t-shirt, a BBQ lunch and sponsors merchandise. You’ll also enjoy a live gig with Souldrop. Buses will be departing to Godley Head from The Foundry carpark from 8.30am, and return from 2.00pm onward. 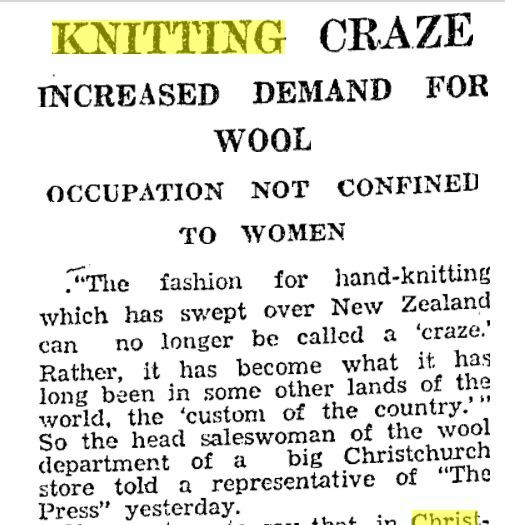 Bring your flat(mates), a hat, and be the change!